An iconic port city home to around 3.7 million people, Yokohama was a sleepy fishing village with a population of just 400 prior to the arrival of U.S. Commodore Matthew Perry and his fleet of Black Ships in 1853. With this forced opening, a wave of non-Japanese introduced new cultures, industries and foods to the city, some of which remain staples today. One of the biggest changes to the Japanese diet in the years following Perry’s arrival was the widespread introduction of meat, which had been banned for the previous 1,200 years. 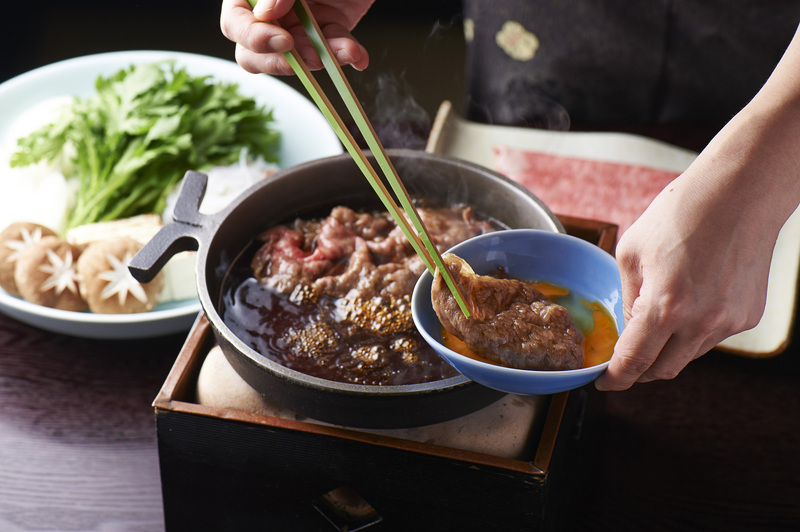 The demand for beef grew rapidly and many restaurants started to specialize in gyū-nabe (a hot pot made with thinly sliced beef and vegetables). 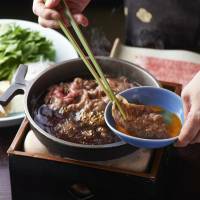 One of those establishments still going strong today is Janomeya, a 125-year-old eatery in Isezakicho serving intensely marbled A5-ranked beef that’s both succulent and flavorful. Recommended is the “Gyunabe Full Course” which features kuroge wagyu steak, vegetables, seasonal appetizers and two types of sashimi. Throughout Yokohama you’ll find many Western-influenced businesses such as Janomeya that were established during the Meiji Era (1868-1912). Another is Motomachi’s popular bakery Uchiki Pan, now in its 130th year. It bakes everything in-house using hops and a slow fermenting process. The Yokohama Grand Hotel was the hotel of choice for foreign dignitaries until 1923, when it burned down in the Great Kanto Earthquake. Its successor, Hotel New Grand, built four years later, has hosted distinguished guests such as Charlie Chaplin and Babe Ruth. 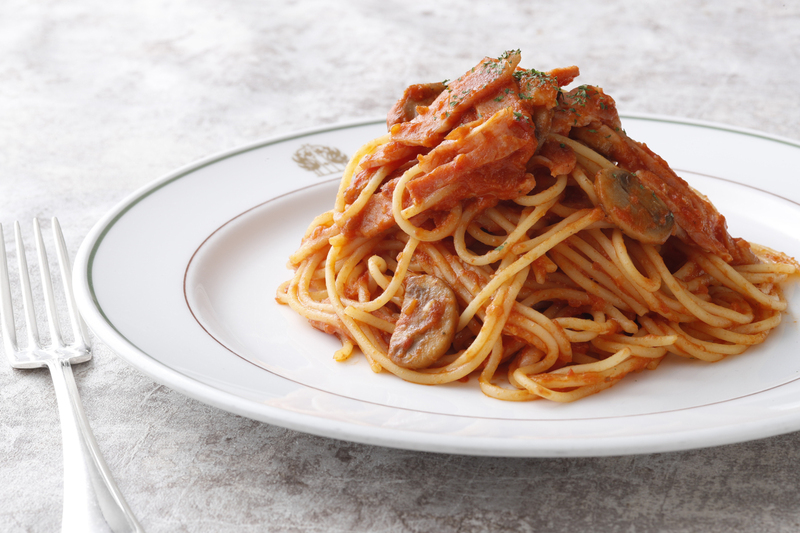 Swiss cook Saly Weil (1897-1976) was the first head chef of Hotel New Grand and, during his time there, created a seafood doria for a sick guest. That shrimp and rice casserole with thick bechamel gratin sauce has stayed on the menu ever since. 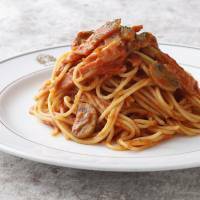 Other Hotel New Grand firsts include Napolitan, spaghetti with a tomato-based sauce with bacon and vegetables, inspired by American military rations, and the extravagantly decorated pudding a la mode, a custard dessert with ice cream and seasonal fruits. During the Occupation (1945-52) the popularity of jazz skyrocketed. Yokohama led the way and jazz bars and cafes continued to open in the city long after the U.S. relinquished control. Windjammer, founded by American Jimmy Stockwell in 1972, is one of the most well-known. Located just outside Chinatown, it’s a stylish two-story bar, decked out like a ship with carved wooden panelling and dimly lit lanterns. Bands perform nightly on the first floor while the second floor is a more relaxed eating space. The signature dish is the mouth-watering Captain’s Hamburger, which is a mammoth 30 centimeters in diameter. Not just about size, this is a well-constructed, easy-to-eat burger with buns that have the right combination of strength and softness. These kind of Western-influenced eateries have played an important role in Yokohama’s history since the city opened its gates to foreign traders. For locals, the food may not seem as exotic as it once did, but judging by the number of guests at these establishments, it remains as popular as ever.